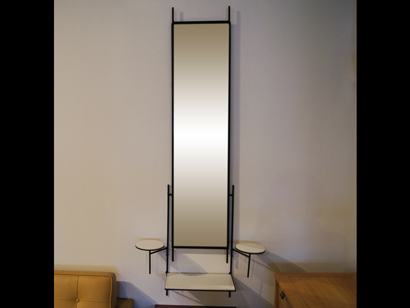 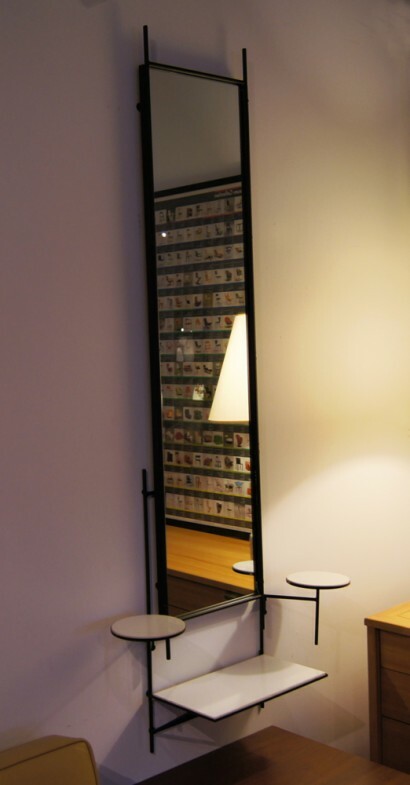 This mirror was designed by Paul McCobb and features two components, a free-hanging mirror and a separate unit, which hangs behind the mirror, with three shelves. 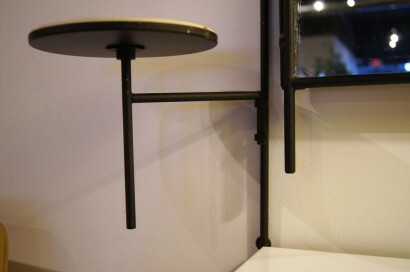 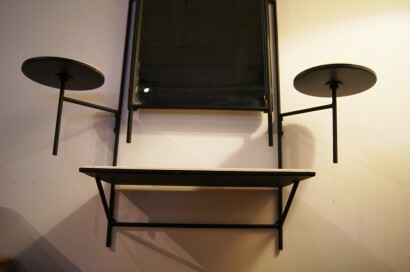 The two components are hung separately so they can be positioned at any desired height. 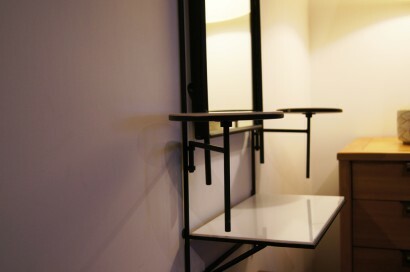 The two white glass circular shelves swivel, while the rectangular white glass shelf is stationary. 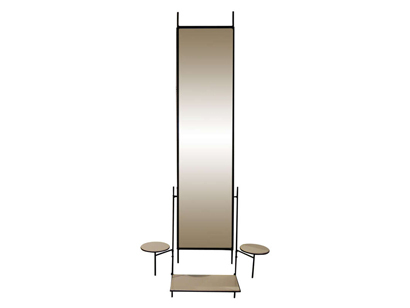 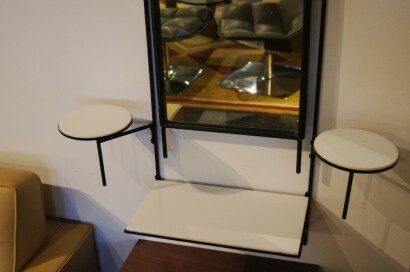 The mirror measures 54″H x 12″W and the shelving unit measures 25.5″H x 29″W.